Production company Watermelon Pictures, which also produced YIM’s The Whistleblower (2014) worked on Little Forest after a 3-year break. YIM’s coming-of-age film is based on the music band the Waikiki Brothers (2001), sports drama Forever the Moment (2008), comedy film South Bound (2013), as well as a chase drama based on the true story, The Whistleblower (2014). Over the course of her career, YIM’s films have featured diverse themes and genres. This time, YIM will challenge herself by directing a healing drama. Based on the manga of the same title by Japan’s Daisuke Igarashi, Little Forest was previously adapted for the silver screen by director Junichi Mori in a two-part series. The story is about a woman named Hye-won who gets tired of the city and moves to the suburbs. As she spends four seasons in nature, she farms and cooks her own food in a process that heals her pains. Rising actress KIM Tae-ri, who was recognized for her role in PARK Chan-wook’s The Handmaiden (2016), will play Hye-won. 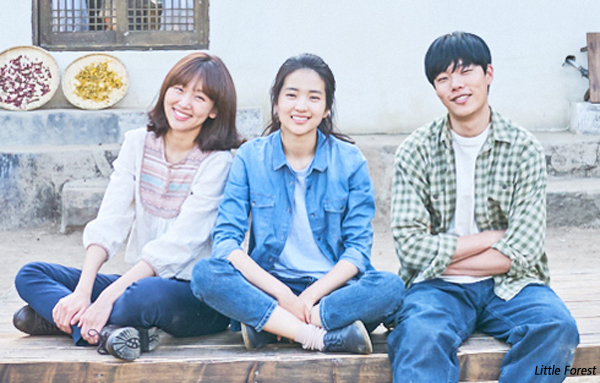 In addition, MOON So-ri who recently became a director through her film The Running Actress, will star in the film along with RYU Jun-yeol and JIN Ki-joo. MEGABOX revealed that the film will go through post-production with a release planned for 2018.